It’s our 125th episode, and I’m delighted to bring you this conversation with Kojo Boateng. 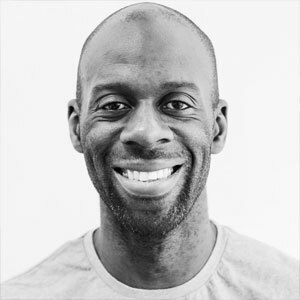 Kojo’s a multidisciplinary designer with a background in graphic design and motion graphics probably most well-known for his tenure as design director for the award-winning ITV News in the United Kingdom. We started off recapping his work for ITV News, and Kojo shared what makes great graphics for television and how color influences the news. From there, he shared what he’s focusing on now along with some of the people who have inspired him. It’s a really great opportunity to speak to someone who is a great designer and a great person as well. Enjoy!